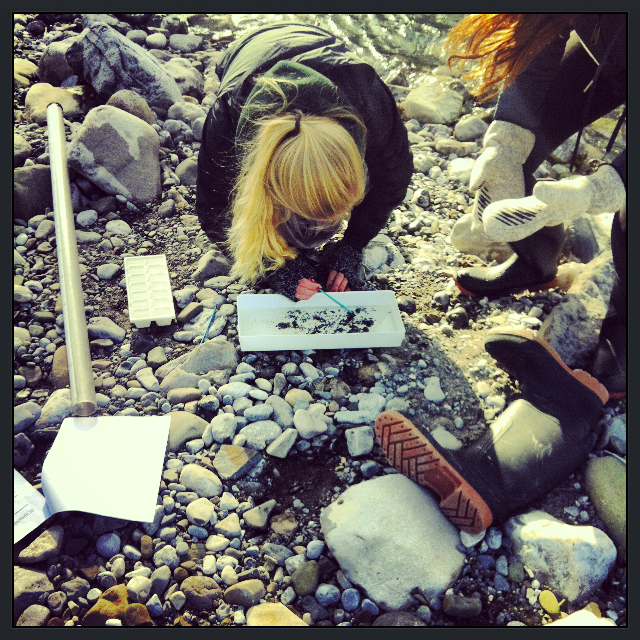 In my final practicum I was asked to supervise a Biology 20 field trip to the Elbow River. This was a great experience for me. Not only was I able to witness a hands on approach to teaching water quality in Biology. But I was also given the opportunity to supervise a class that I had no previous interaction with. 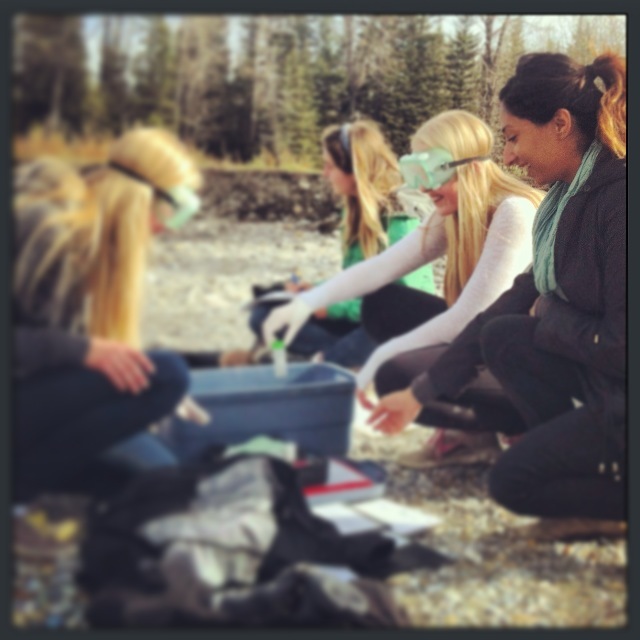 In this field trip students were asked to test the water qualities by a few different methods. They conducted a nitrate, phosphate, pH and turbidity test. Students conducted these tests at two different sites on the river and were then asked to compare their results and provide explanations for the differences. 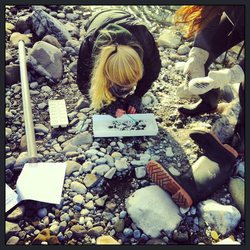 Students were also asked to find a few invertebrates contained within the river and identify the order of these species. During the trip, students were exposed to different methods of learning and connecting the information they were exposed to. One of my absolute favourite was the simulation of the different components of the ecosystem. Students were asked to balance themselves on the red rope as seen on the image to the right. This depicted the notion that everyone is dependent on the resources of the earth. Each group of students had a role to play, for instance, some played the role of the oil and gas industry. With all students holding on to the role. the oil and gas group would shake the rope. Students realized that one small change in the ecosystem, in this case the new shaking of the rope it affected everyone else holding on to it, as everyone’s hands began to shake when holding the rope.